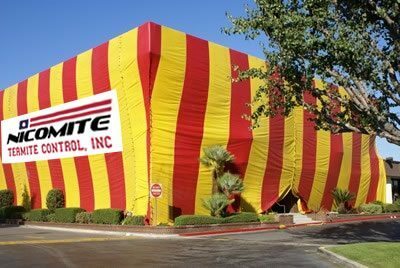 Fumigations – Nicomite Termite Control, Inc.
Broad spectrum control. The most commonly used fumigants are toxic to all forms of life (e.g., insects, mammals, birds, etc. ); thus it is possible to control all pests within a building using one treatment – Fumigation! Speed of control. Fumigation can be the most rapid method for controlling an infestation. Pest control in inaccessible areas. Fumigation can kill pests in areas inaccessible to typical contact and residual pesticides. Cost. In some instances, it is less expensive to fumigate than conduct repeated treatments of other types of pesticides.